Heartstrings Unlimited, Inc. is founded on the belief that people with disabilities are “differently abled” individuals. At Heartstrings our programs are equally devoted to preparing for and ensuring independence. Our team practices positive role-modeling, develops and implements realistic goals, and identifies safety as paramount. Heartstrings considers every interaction to be a “teachable moment” and responds passionately to the unique needs of each individual. We believe children and young adults should be active, productive, and contributing members in the community. To discover how Heartstrings will make a difference for you, your family, and/or your community we invite you to learn more about us. 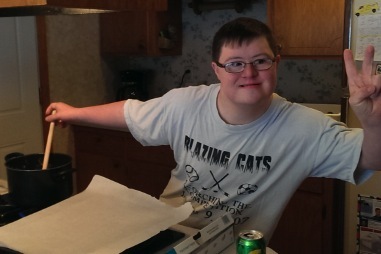 A person diagnosed with a Developmental Disability. A person eligible to receive County services (DD or CADI waiver). A person 18+ years of age. A person with the desire and capability to live independently. *These guidelines are not intended to be all-inclusive. Mission Statement: Heartstrings Unlimited is committed to promoting self-sufficiency of MN young adults by fostering independence, supporting individuality, and inspiring life-long skills in a safe environment. Vision Statement: All children and young adults are active, productive, and contributing members within the community. ©2007 Heartstrings Unlimited Inc. All Rights Reserved.